It is one of the most important numbers in your financial life: the credit score. The score, which is derived, but distinct, from your credit report, can determine how much interest you pay on your car loan or mortgage, the size of your credit line on a new credit card, the size of your security deposit for your apartment and even if you get that job you are aiming for. At its most basic, your credit score — a number typically ranging from 300 to 850 mathematically derived from your credit history — is used to predict how likely you are to pay back a loan on time. A lower score indicates that an organization might be taking on a higher level of risk in lending to you than they would be in working with an individual with a higher credit score. But really, no one has just one score, given that different credit bureaus use different formulas — and different data — to analyze your credit history. Those with a "permissible purpose," such as your mortgage lender, your insurance company and your credit card company, can check your report and use the information to determine how much you can borrow and pay in interest and for services. Employers can request your credit report — though not your credit score — to gauge whether you are a trustworthy, responsible individual suited for a particular job. Credit bureaus use different formulas to determine your credit score, so you score can vary from credit bureau to credit bureau. Scores tend to be based on five key factors, each with its own weighting. 1. Payment history: What is your track record of paying back your debts? A history of prompt payments of at least the minimum amount due helps your score. Late or missed payments hurt your score. 2. How much you owe: How deeply in debt you are? Can you handle what you owe? A good rule of thumb is to not exceed 30 percent of the credit limit on any given credit card. This shows responsible debt management, which favorably affects your credit score. 3. Length of credit history: How long have you had and used credit? The longer your history of responsible credit management, the better your score will be. If you have paid on time, every time, then you will look particularly good in this area. A short credit history can ding you, because it is harder to gauge an individual’s credit worthiness from a short track record. 4. Type of credit: How many different kinds of credit do you have? Credit bureaus look at the "mix" of credit you access, including credit cards, retail store accounts, installment loans, finance company accounts and mortgage loans. You don’t have to have each type of account for a good score, but you want to make sure you are using each type of credit appropriately. 5. New credit inquiries: Have you been looking to take on more debt? Credit bureaus also track recent inquiries into your credit score that indicate that you are seeking additional credit. Applying for numerous credit cards in a short period of time will count as multiple inquiries or “hard hits” and potentially lower your score. "Soft hits” — including your personal request for your credit report, requests from lenders to make you "pre-approved" credit offers and those coming from employers — don’t affect your score. A lot of websites promise free credit reports, but AnnualCreditReport.com is the only resource authorized by federal law to provides free credit reports from each of the three major credit bureaus — Equifax, TransUnion and Experian. You can get that information — for free — once every 12 months. AnnualCreditReport.com also offers credit scores for a modest fee. 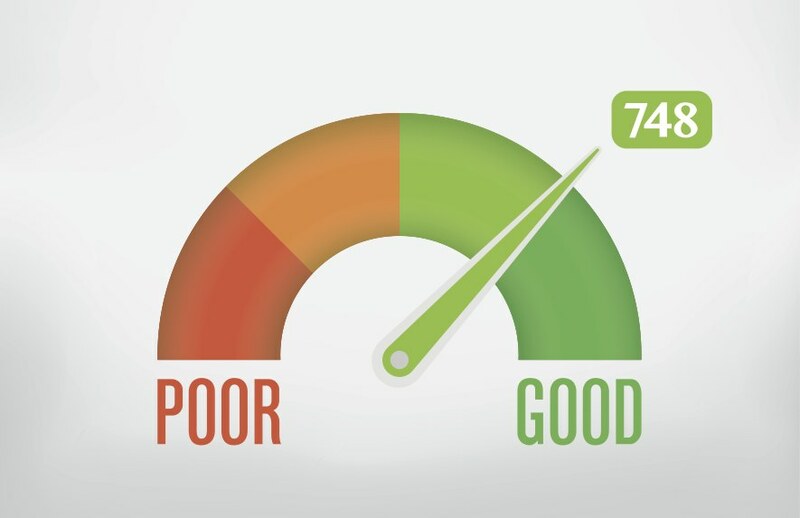 Other sites that advertise free credit scores might involve costly subscriptions. Also, you’ll want to carefully evaluate the legitimacy and security of any site before you hand over the sensitive information, such as your social security number, required to pull a report. Everyone should check their credit reports — including those who are confident that they have good credit. Regular credit checks can help you ensure that the information on your report stays accurate and to catch any problems early. Suspicious activity or accounts that you don’t recognize might be a sign of identity theft. The key is that good credit management leads to higher credit scores, which lowers your cost to borrow. Living within your means, using debt wisely and paying all bills on time, every time, will reduce the amount you pay for the money you borrow and put more money in your pocket to save and invest.